JERUSALEM (AP) — A top aide to Israeli Prime Minister Benjamin Netanyahu announced Thursday that he was taking a leave of absence amid an uproar over allegations of sexual assault. At least four female Israeli lawmakers called upon Netanyahu to suspend Keyes after the allegations surfaced earlier this week. The women called on Netanyahu to intervene and condemn the alleged actions by Keyes, saying his spokesman could not be effective as he battles the allegations. Netanyahu’s office hasn’t commented on the matter. Among the Knesset members calling for a suspension was one member of Netanyahu’s governing coalition. Merav Ben Ari, a Kulanu party parliament member, said was “unreasonable” that Keyes remained in his position. Michal Rozin, a legislator with the opposition Meretz party, said Keyes can no longer represent Israel to the world. She said Netanyahu’s silence thus far could also be interpreted as tolerance of the alleged acts. Keyes has served as Netanyahu’s spokesman to the foreign media since 2016. He is considered a close aide to the prime minister and deeply involved in Netanyahu’s social media policy. 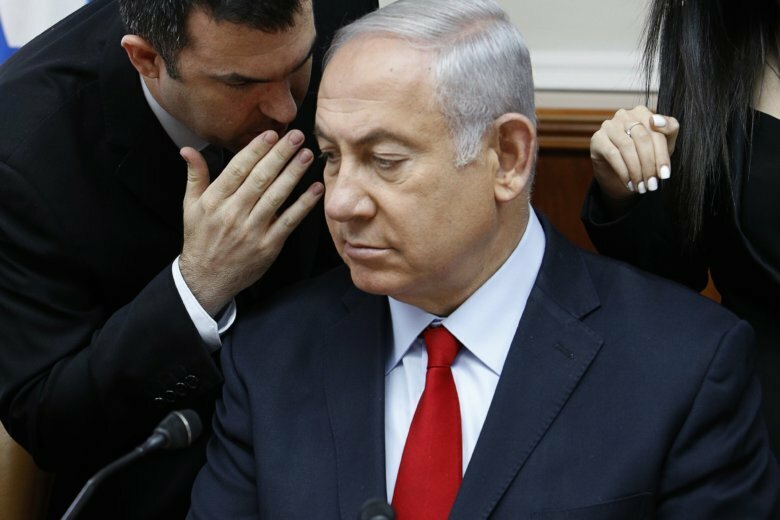 Netanyahu rarely speaks to the media, preferring instead to deliver his messages in tightly controlled video clips released on Facebook and Twitter.